➡️ For Sub Inspector (Telecom): Candidate should have completed graduation level study in science stream from recognized university. ➡️ For Head Constable (Telecom): Candidate must have to passed 10+2 Intermediate with 45% Marks and ITI / Diploma from recognized board/ institution. ➡️ For Constable (Telecom): Candidate must have to passed 10th with 45% Marks and ITI / Diploma from recognized board/ institution. ➡️ For Assistant Sub Inspector (Pharmacist): Details will be available in full advertizement. General and OBC candidates have to pay Rs.200 (Two hundred rupees) for the Sub Inspector posts application and Rs.100 (One hundred rupees) for other posts. No need to pay application fee for SC.ST, Ex-Servicemen and Female candidates. 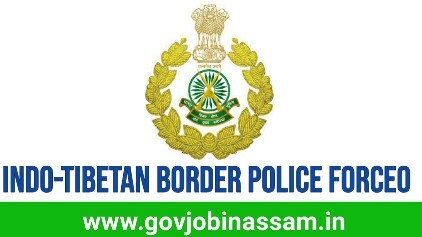 Interested Candidates have to apply online for the following ITBP Recruitment post through official website of Indo-Tibetan Border Police Forceo at www.itbpolice.nic.in. submit your online application before last date.